Wael Ghonim (BacktoBlack Festival), was one of the main leaders of the protests that toppled the dictatorship of Hosni Mubarak in Egypt. 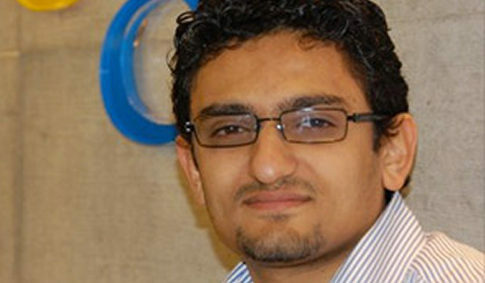 Ghonim graduated in Computer Engineering from Cairo University and then graduated with an MBA in Marketing and Finance from the American University in the Egyptian capital. In 2008, he was hired by Google and soon received a promotion to Marketing Executive for the Middle East and North Africa. 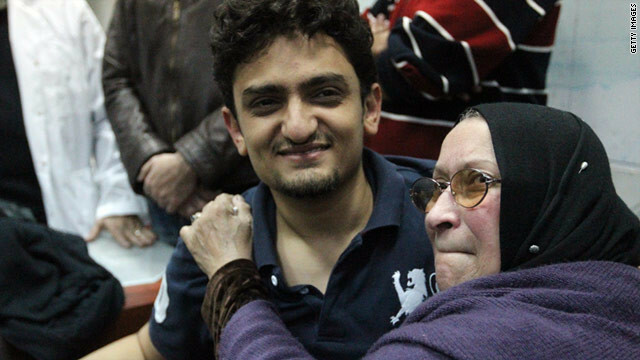 Just out of jail, Wael Ghonim is embraced by the mother of Khalid Said, who was allegedly beaten to death by police. Cairo, Egypt (CNN) -- Few things to date have energized popular Egyptian protests against President Hosni Mubarak as much as the emotional interview given by Wael Ghonim, a 30-year-old Egyptian internet activist, almost immediately after his release from 12 days of detention by the feared state security police.